Happy New Year!! And that goes for our lovely guests and employees alike!! 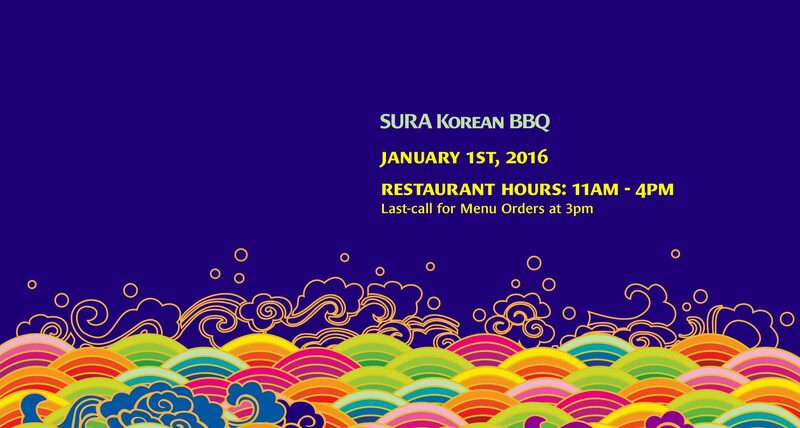 In other words we at SURA Korean BBQ Restaurant too will be celebrating New Year’s Day with our loved ones which means today we will be closed earlier than our regular hours!! Big thanks to all our customers and friends!! And wish you a very Happy New Year! !